Get up and salsa! 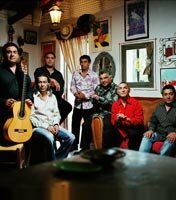 See the Gypsy Kings live in concert and enjoy hits like "Bamboleo", "Baila Me", "Lambada" and more. Enjoy music with fellow Meetcha members! Reserve your spot now!